Researchers have developed an opioid compound that targets specific pain receptors in cells, but without producing the addictive qualities typical of currently available drugs. In the fight against America’s opioid epidemic, many efforts are focused on treating addiction. But some scientists have another goal in mind: creating an effective painkiller that isn’t non-addictive. Researchers at the University of North Carolina at Chapel Hill and the University of Southern California, writing in the journal Cell, describe a new opioid-based compound that only reacts with a cell’s kappa opioid receptor, one of four receptors that bind opioid-like compounds in the brain. Because the compound only binds with one, rather than multiple receptors, there is little risk of addiction. The findings could provide a pathway for preventing addiction in patients who need opioid-based medication for chronic pain. “It is actually ridiculous that the most addictive and dangerous types of psychoactive drugs are still legal and widely prescribed for pain by doctors,” Vsevolod Katritch, assistant professor of biological sciences at USC and one of the lead researchers, told Seeker. 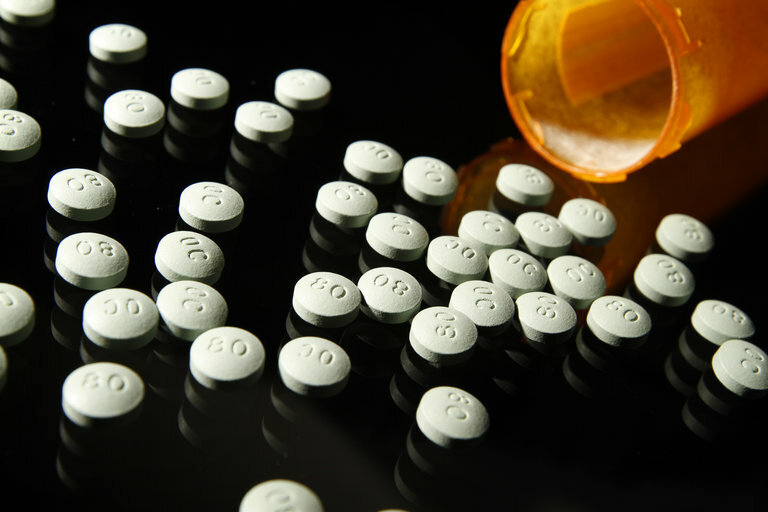 “Effective, non-addictive opioid painkillers would completely replace addictive ones as the first-line prescription drugs for pain, thus tapering the addiction epidemics altogether." Katritch, along with his colleagues, studied the G protein-coupled receptors in human cells, which are found on the surface of the membrane and act as an email inbox for light energy, peptides, lipids, sugars, and proteins. This is why they are the target of most medications and therapies. The researchers developed computer models of the G protein-coupled receptors interacting with different drug compounds. Through computer analysis they were able to modify the chemical makeup of the compounds and find the precise formulation for creating the strongest bond between the compound and the kappa opioid receptor without affecting any other receptors in the cell. This means the drugs were suppressing pain while leaving other receptors unaffected, drastically reducing the risk for addiction. Katritch and his colleagues aren’t alone in their attempt to develop a non-addictive opioid painkiller. In March 2017, researchers in Berlin developed a way to chemically tweak the highly addictive opioid fentanyl. When tested in rats, the compound effectively reduced pain in inflamed tissue but did not seem to affect the rest of the body. Scientists were also surprised that the drug wasn’t deadly in large doses, like the original fentanyl compound, nor did the rats appear to become addicted to it. In October, researchers at Indiana University made headway on another non-addictive painkiller that could potentially replace opioid-based pain medication for certain conditions. The findings indicate that compounds known as positive allosteric modulators, or PAMS, can increase the natural pain-relief chemicals produced by the body in response to injury. When tested in mice, the researchers did not observe any signs of addictive behavior.